PANGASINAN — Leading presidential candidate Sen. Grace Poe did not take lightly a rival’s quip of her being “just” a teacher, saying it was an insult to the country’s educators. It is unfortunate, Poe said, how one presidential aspirant belittled teachers and their ability to lead. “Ang mga teacher pwedeng pagkatiwalaan ng ating mga anak pero hindi sila pwedeng maging pangulo? Nakakalungkot na ganoon ang kanyang pananaw,” said Poe, who has overtaken Binay in recent presidential preference surveys. There are over 500,000 public elementary and high school teachers in the country, considered the noblest profession. In the Philippines, teachers serve a crucial role as Board of Elections Inspectors during elections. Poe herself taught geography and math to preschool children before working in the scientific technologies field until 2004. The senator stressed that while her years in government are few, she does not lack the leadership skills, the diligence and the compassion needed to steer the country into progress which is inclusive and sustainable. “Sinasabi nila na wala akong karanasan. Wala nga akong karanasan—sa pagnanakaw at pangungurakot,” she said, gaining cheers from the crowd. Poe has regained the lead in the presidential race after addressing the misinformation on her qualification for the presidency. She topped Pulse Asia’s survey, conducted from January 24 to 28, with 30 percent of voters saying they would choose her, while Binay got 23 percent. She also topped the Laylo Survey conducted from January 27 to February 4, with 29 percent of votes compared with Binay’s 22 percent. 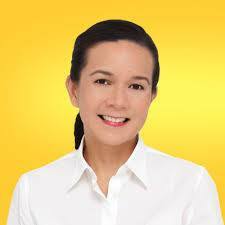 Poe, the lone independent presidential candidate, said she will never allow anyone to control her, if she wins the presidency. “Nung pumasok ako sa gobyerno, nag-serbisyo ako sa MTRCB at ginawa nang maayos ang trabaho ko. Nang maging senador ako, pinamunuan ko ang Mamasapano investigation. Pareho kami ni Senator Chiz na may experience sa executive at legislative. Pareho kami ng posisyon sa ibang issues pero may sarili akong pangalan at ‘yan ang pinanghahawakan ko,” Poe said. Poe is in Pangasinan with her running mate, Sen. Francis “Chiz” Escudero, who is also leading vice-presidential surveys, and the senatorial bets under “Partido Galing at Puso.” They are set to meet with students and local officials of Dagupan, Calasiao and San Carlos cities.